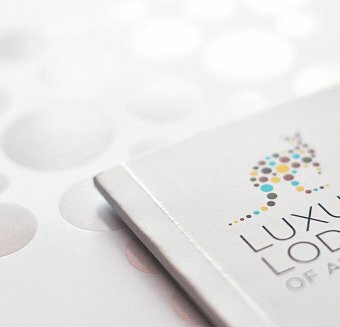 Arrival into the Great Room at the lodge is a truly memorable moment and the start of an extraordinary experience. 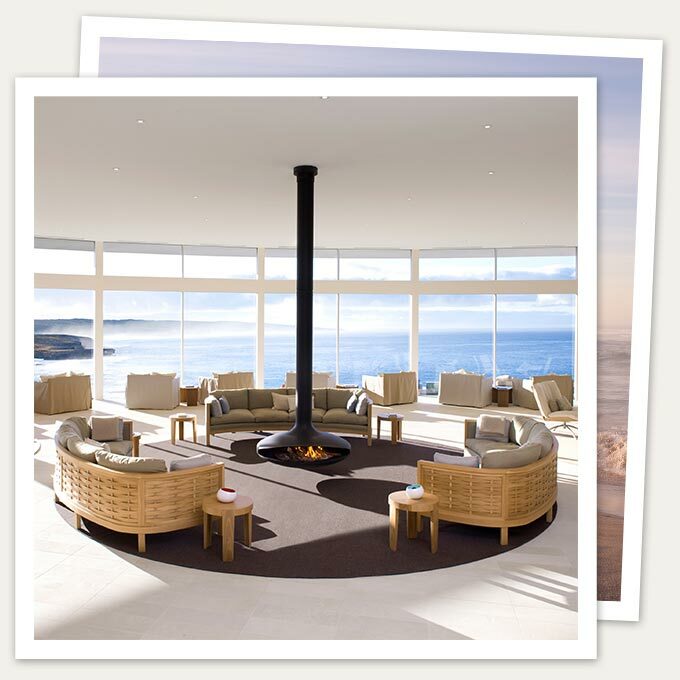 The Great Room is the centre of activity; guests plan the day ahead, enjoy exceptional Island-inspired dining in the Restaurant, or a relaxed drink at the convivial open bar with an exclusively South Australian wine selection. 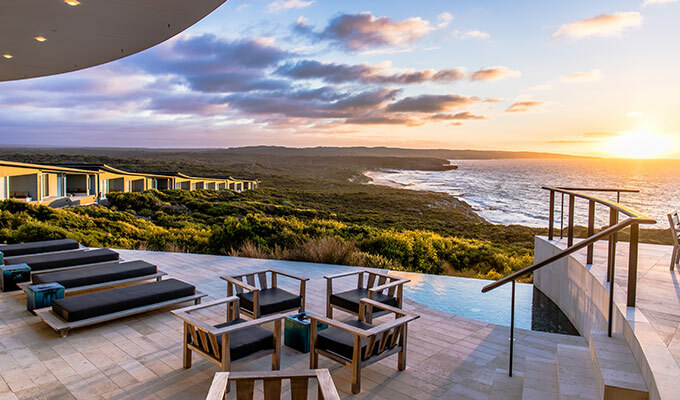 21 organic luxe suites feature bespoke furnishings, lavish sleeping areas, sunken lounge, glass-walled ensuite and outdoor terrace, each with breathtaking views to the great Southern Ocean. Locally commissioned designer furnishings, recycled timbers, hand cut limestone walls and sandblasted floors complement a groundbreaking sustainable philosophy to promote a true and unique sense of place. Exceptional guided adventures invite guests to experience the pristine landscapes and abundant wildlife on Australia’s own Galapagos first hand; a walk amongst sea lions or a close encounter with a kangaroo. The secluded Southern Spa features signature treatments with Kangaroo Island botanicals to relax and rejuvenate. 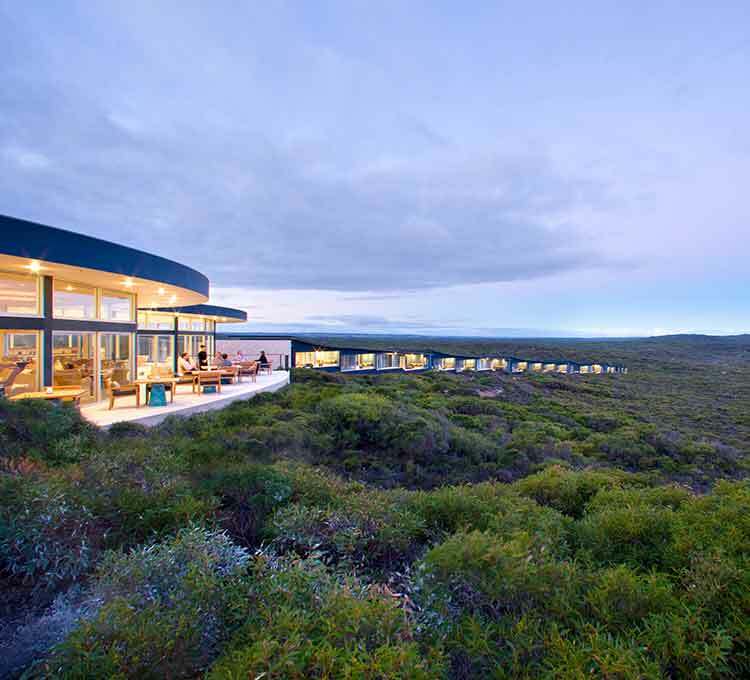 All inclusive rates, first name service and personalised experiential itinerary combine to offer guests the ultimate Kangaroo Island experience. 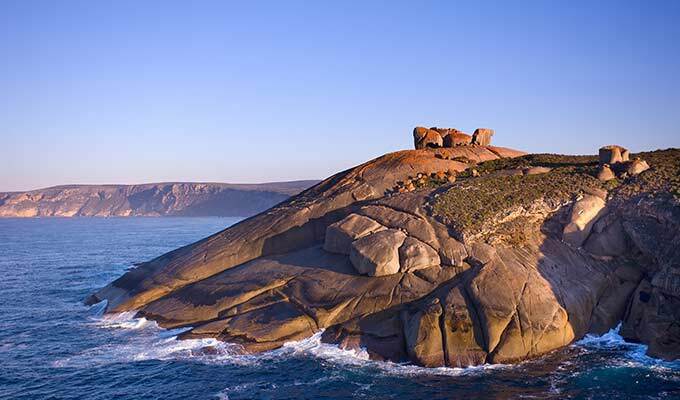 One of the most distinctive images of this island, widely regarded as Australia's Galapagos, is Remarkable Rocks in the Flinders Chase National Park. Perched above the sea, the impressive rocks form what appears to be a cluster of precariously balanced granite boulders. This stunning work of nature has been shaped by the erosive forces of wind, sea spray and rain over some 500 million years. The golden orange lichen covering some of the rocks offers visitors wonderful photo opportunities at different times of the day. Interpretation signs share the story of how these intriguing rocks were formed.